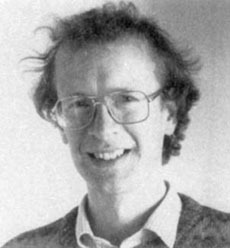 In great secrecy, Wiles spent most of his free time in 1985-94 proving Fermat's Last Theorem. Fermat wrote in a book that he owned, "I have discovered a truly remarkable proof but this margin is too small to contain it," but most mathermaticians today feel that he was in error. The theorem stated that an + bn = cn has no possible solutions, where a, b, c and n are positive integers, and n is greater than two.